U.S. Transportation Secretary Anthony Foxx announced that the U.S. Department of Transportation (U.S. 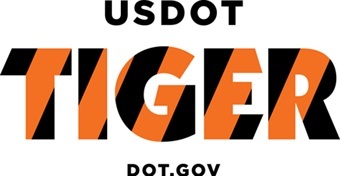 DOT) will provide $500 million for 39 transportation projects in 34 states, some projects spanning several states, from its TIGER (Transportation Investment Generating Economic Recovery) 2015 program. This year rural areas received 43% of the project awards, a higher percentage than any previous year. The U.S. DOT received 627 eligible applications from 50 states and several U.S. territories, including Tribal governments, requesting 20 times the $500 million available for the program, or $10.1 billion for needed transportation projects. A $20 million grant to develop a new 15-mile bus rapid transit (BRT) line in Birmingham, Ala., connecting Birmingham’s residents, especially low-income citizens, to employment centers, educational opportunities, and community services. A $1 million grant to help complete a bike and pedestrian network in the Pueblo of Laguna, N.M., creating safe bicycle and pedestrian access linking economic centers to residential areas and serving as the catalyst to the revitalization of the traditional village areas of the Pueblo of Laguna. A $16.9 million grant to convert Dixie Highway in Louisville, Ky. to a BRT corridor to better connect the southwest part of the city to jobs, social services, education, and medical care along the corridor, including safer options for bicyclists and pedestrians. This is the seventh TIGER round since 2009, bringing the total grant amount to $4.6 billion provided to 381 projects in all 50 states, the District of Columbia and Puerto Rico, including 134 projects to support rural and tribal communities.